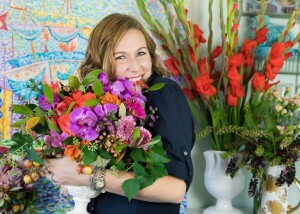 I am an artisan florist focused on creating the most beautiful floral compositions you have ever seen. If flowers are important and special to you, I promise to make your wedding, baby shower, corporate or philanthropic event, artistic and memorable. By nature, my favorite venues are those that are historically significant, elegant and ornate. I’ve worked at the White House, VP’s Residence, in the halls of Congress, and most of the clubs and hotels in the region. In other words, I’ll take Washington’s crown molding over a raw blank space any day! I am not an event production company and can’t provide a one-stop, online shop for all your event needs. But if you’re willing to spend a little extra time working directly with me, I can design flowers that will make a big difference in your end result.